File transfer is one of the vital functions of B2B collaboration. Organizations require safe, secure and compliant file transfer in order to drive revenue, satisfy customer requirements and enable effective collaboration across the entire B2B value chain. Unfortunately for many organizations, weaknesses in the processes and technologies used for managing file transfers are exposing them to huge security and compliance risks—some of which IT teams may not even be aware of. For example, FTP, the prevailing method for moving large files, introduces major gaps in protection. FTP transmits client IDs and passwords as plain text, and standard FTP commands can be used to create denial-of-service attacks. In addition, many FTP implementations lack multifunction authentication, encryption and privacy. Exacerbating the security challenges has been the growth of email and software-as-a-service (SaaS) platforms for file transfers. These solutions can arise from shadow IT initiatives that are beyond IT control. Data encryption to keep user IDs and passwords secure while in flight or at rest. Multifactor authentication with demilitarized zone-based authentication, session break and SSL termination. Checksum capabilities to ensure that data is transferred in its original form and has not been corrupted or tampered with. Nonrepudiation features, so senders are notified with a digital signature when a file has been received, thereby minimizing risk of conflict or litigation. Centralized visibility and monitoring, with a complete audit trail of data movement through extensive statistics logs. Are your files secured and reliable? Overcome security and compliance concerns with managed file transfer technology. Lower costs: MFT effectively eliminates the resource costs of manually devising, updating and troubleshooting homegrown FTP systems. IT can standardize on a single solution that handles file transfer needs in a way that is automated, scalable and repeatable. Greater flexibility: Organizations benefit from one-to-many file delivery. IBM MFT solutions provide flexible, near-universal connectivity to meet changing market demands and adapt to ever-changing standards requirements. IBM also offers customers a choice of deployment models, including SaaS and cloud. Improved performance: IBM MFT solutions are designed for enterprise-scale capacity to handle tens of thousands of terabyte-size files and hundreds of thousands of payloads per day. Stateless protocol can speed transfers by up to 400%, and transparent compression can reduce the size of large files to accelerate delivery. Better reliability: IBM MFT solutions help guarantee delivery through automated scheduling, checkpoint restart and automatic recovery or retry. If a file transfer is interrupted, the solution automatically attempts to resume the transfer with no manual intervention required. Companies of all sizes in all industries depend upon the successful flow of critical information in files. Rather than reducing the number of file transfers, the growth of digital content is making file transfer even more important in today’s business environment. A managed file transfer approach provides organizations with a modern way to ensure secure, consistent and reliable file transfers. With the right solution in place, organizations can leverage security features such as authentication, encryption, perimeter security and defense at rest to maximize protection at multiple layers. 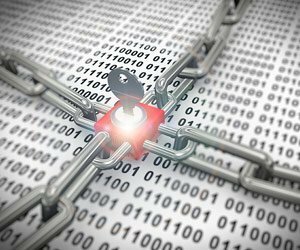 When it comes to security in file transfers, what you don’t know can hurt you. Make sure you deploy a modern file transfer solution that keeps you informed, aware and protected at all times.